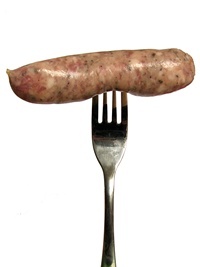 Defining social justice philanthropy: spearing the sausage? Like spearing a tricky sausage on a plate or, more poetically, catching a butterfly on the wing without damaging it, attempting to define a field of grantmaking is notoriously difficult. Define it too narrowly and the room becomes very small. Define it too widely and you end up with a roomful certainly, but of grantmakers and donors who may have little in common, which can devalue the idea and lead to its slipping out of fashion. As Barry Knight points out in his piece in the December issue of Alliance, RIP Civil Society, for the moment at least. 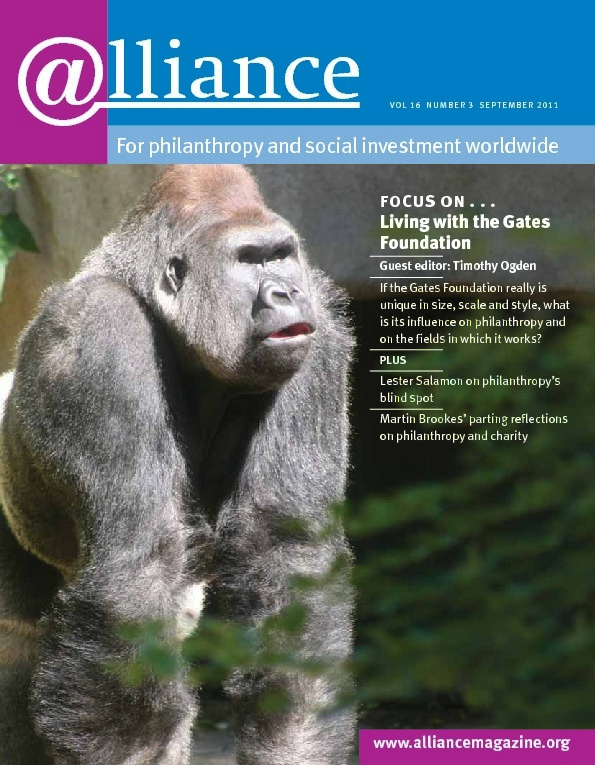 But the last issue of Alliance did a brave and useful job in trying to define the idea of social justice philanthropy more sharply, driving an interesting middle line between an over-prescriptive Scylla, and the Charybdis of vagueness, and coming up with some helpful ideas. In particular, the concept outlined in Albert Ruesga’s commentary of a family of related practices, based on shared values, is an important one that deserves to be broadcast beyond the social justice community. It has a great deal to offer any group of donors who think that they have something in common. I say this from the position of working with diverse funders in Europe to set up Ariadne, the European Human Rights Funders Network, and also from taking part in an ongoing project, chaired by the International Human Rights Funders Group, to come up with a definition of human rights funding and its categories, so it can be mapped and measured. So, much of the discussion around social justice in Alliance is familiar territory. In human rights, we have dealt with this in different ways. Ariadne is a network, a project to enable donors of many different types to communicate with each other as they choose, focusing on areas that interest them, and it has felt right to keep the definitions wide. But in trying to map global human rights we risked creating a description of little more than ‘motherhood and apple-pie’, with which few would disagree, and the definitions have been more tightly drawn. But I would press both social justice and human rights philanthropists to think longer and harder about what makes each of them a family: what precisely is shared? It’s likely that only when that can be pinned down will the concepts become more durable. Is human rights funding a subset of social justice funding? I also contest the idea that human rights funding is a subset of social justice funding. I think they are separate forms of grantmaking, with different approaches, and a great deal to teach each other. This separation is clearly spelt out in Yousry Moustafa’s piece. Human rights proceeds from the belief that every human being has rights by virtue of her or his humanity, and there is an extensive network of international, regional and national laws that give them legal force. This gives the field the benefit of clarity and the power of law to exploit in the pursuit of change. But it also constrains it: achieving social change is rarely a matter of changing the law alone and using the human being as the base unit by its very nature excludes the wider context. Social justice funding is a better tool for considering communities and the health of whole societies, although it lacks the comforting certainties of human rights. I would argue that what distinguishes the two is the different roots from which they spring: a primary regard for the individual or a primary regard for communities. Issues such as the torture or imprisonment of an individual have little to do with social justice and everything to do with human rights. But the impact of the unfair distribution of resources on society as a whole is something that human rights funders are uncomfortable with, whereas social justice funders are in their element. However, it is possible to reach the same conclusion despite coming from different places. Social justice funders have found that using a human rights lens to look at various problems or to incorporate into a strategy can add rigour and a concrete dimension to the work. Similarly human rights funders, accused of western arrogance, may be able to learn something from one of the primary concepts of social justice, outlined by Albert Ruesga, of ‘meaningful partnerships with the communities they aim to serve’. So long may we work alongside and borrow from each other, but it may be a mistake to think we are the same immediate family – perhaps at best we could be cousins.